The versatile Microlight Vest is a lightweight down gilet designed to provide core warmth where weight and packability are prime concerns. An ideal booster layer for climbers and an adaptable standalone gilet for day-to-day use, the Microlight Vest is made with windproof and breathable Pertex® Quantum outer fabric. 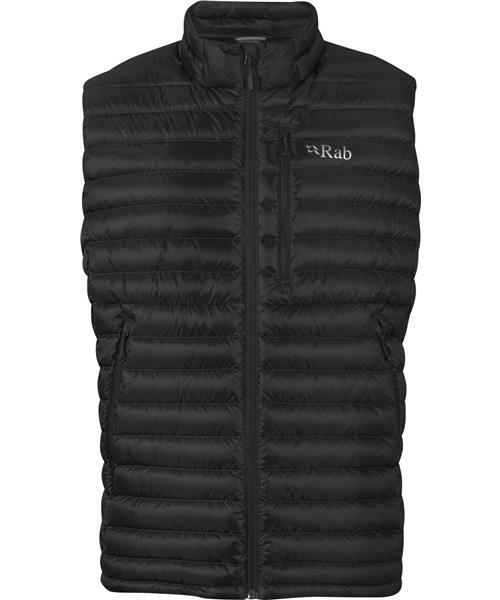 Using a micro stitch-through baffle construction and 750 fill power ethically-sourced hydrophobic down, the Microlight Vest provides exceptional warmth and freedom of movement. Two hand pockets are harness compatible and a chest pocket is easily accessible to store your essentials. Packing away into its own stuff sack the Microlight Vest can be easily attached to your harness or daysack.